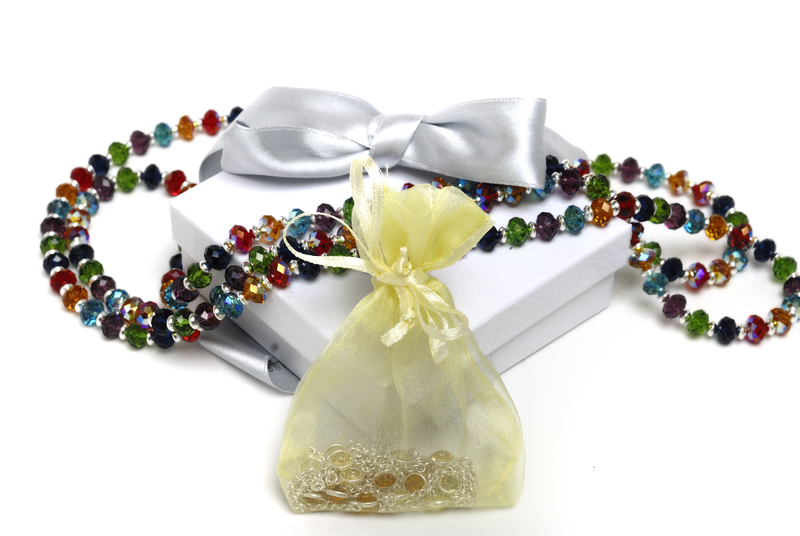 This bracelet is a real gift of love, beautifully made of sterling silver beads and 6mm Swarovski briolettes, it will truly be the perfect present. The bracelet exists in four different colours Blue Indigo, Green Fern, Blue Aqua and Purple Amethyst. If you would prefer the bracelet can be customised with a Charms and/ or the initials. Please notice that the price below is with NO charms or initials. Price: 69 Euros To see the price in £ (GBP) or $ (USD), Click here!